Blue Fuchs offer the complete range of Terex Fuchs material handlers for scrap metal handling, waste recycling, port and timber handling as well as the Taurus range of scrap balers, shear balers and pre-shredders. Blue Fuchs are also the official supplier of E-Crane equipment and metal shredders from ZB Group. From the mobile MHL range of Fuchs materials handlers to the E-Crane 3000 series which can reach up to almost 50m, Blue Fuchs can supplier the right option for your business with a first class after-sales support network of technical engineers and spare parts for all machines. 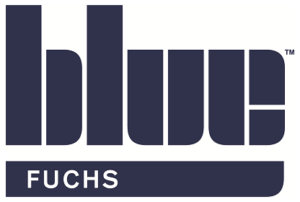 Blue Fuchs is part of the Blue Group of companies which was formed in 1994 when four individual Powerscreen dealerships combined their experience and expertise to form Blue Machinery. With an ever-changing marketplace, it was important for Blue to combine in order to maximise their resources and provide the very best service to their customers. Our eight strategically located offices ensure we have UK and Ireland wide after-sales coverage for servicing and spare part needs. Our view is that the initial sale is only the beginning of our relationship, as a result a large emphasis is placed on our after sales service and parts offering.